Attracting an audience for your event is the biggest challenges you will face, after all without the 'numbers' the event is not going to be successful. Furthermore marketing costs can quickly mount and eat away at your precious budget. Here's a blueprint for success, which need not cost you anything. 'The product' Getting your 'product' - the event - right from the beginning is probably the most important thing. A great product is simply much easier and more cost effective to promote. Obvious? While most of us know this instinctively, the temptation to dive straight into the event agenda based on what you think you know is a common mistake. A crystal clear idea of who your potential attendees are, what they are looking for from an event and why they can't get it somewhere else is essential. This will be easier if you have run the event or similar events before. If it's a new event you will need to engage with potential attendees to get feedback on your ideas. Fortunately it is now relatively easier to share ideas and get feedback through social media like LinkedIn, as well as speaking to potential delegates in your network in a simple focus group environment. Great speakers draw a crowd You can read a thousand posts on the importance of the speakers you have at your event. If you break an event down to its constituent parts, the event content is the most important aspect of any event. It is, in the main, the reason people will attend and the speakers are the most visible aspect of the content. Therefore, the quality of this content is critical in attracting the audience and ensuring satisfaction with the event. There is lots of talk in event marketing about the 'rock star' presenter. The big name that will draw the audience. However, at a more modest level it is simply about getting the speakers who are relevant to your audience and ensuring they are of the appropriate quality. Remember nobody wants to see someone talking through a PowerPoint presentation at the best of times! If you are committed to designing the product with the customer in mind, this is an opportunity to get your (potential) audience involved. Giving them the chance to choose who speaks is a great way of ensuring the content will be of maximum relevance. Probably the best example of this is the famous South by Southwest Panel Picker http://panelpicker.sxsw.com/ Location, Location, Location It is fair to say that location is more important than ever before. Technology has had an impact on the way we communicate with each other and your potential delegates are going to need a compelling reason to emerge from behind their smartphone or PC. It is fine if you are planning an event in Montreal. You can use the draw of the city to make the event itself even more attractive. If your aspirations are rather more local, the venue is vital. The more interesting and unique the venue, the better. Increasingly delegates expect to be wowed by the environment and want an experience from the event. Picking the perfect venue is critical - no matter how big the event. This is where http://www.conferences-uk.org.uk/ can help you. We have a dedicated team of venue finders who can take the pain out of this process. Make it easy on them If you have followed the steps so far you will have invested heavily in a strong product. The content is highly relevant to your audience, the speakers are attractive and will attract attendees and it is going to be held in a place people want to be in. This makes the marketing task much more about promotion - simply letting people know about the event. Now make sure that it is easy for people to find your event by optimising your event website for search engines. The great thing about search engine optimisation is that it need not cost a penny - it just needs some care and attention to detail. There are plenty of DIY guides out there https://moz.com/beginners-guide-to-seo and many agencies http://seomcr.com/ who can do this for you if you need assistance. It doesn't have to cost a penny! One benefit of having selected great speakers for your event is that they are likely to have a great network of potential delegates for your event. Encourage them to use their network on your behalf and promoting their presence at your event to their audience. This is a great way of spreading the reach of your marketing way beyond your current resources. One tip is to make this as easy as possible for those speakers by sending them content they can use to feed their social networks. It is also important to use your own social channels, particularly Facebook, Twitter and Linkedin. Again there is no need to incur any cost here, it will just represent an investment of time and effort. Ensure you pick a relevant event hashtag for twitter and use it consistently throughout the whole event cycle, tweeting regularly and often. Consider adding Instagram to your social media mix. It is perfect for the visual nature of events, increasingly user friendly for businesses and currently less competitive than Facebook and Twitter. Pay per click If you do need to make a marketing investment, pay per click (PPC) campaigns are the most accountable form of marketing activity. Promoting your event website via google and facebook enables you to display highly targeted adverts within a strictly controlled budget. Consider also re-marketing campaigns, where your ad is displayed to people who have previously visited your website. This approach can be particularly effective for larger conferences, where the decision making process about attending is more involved. 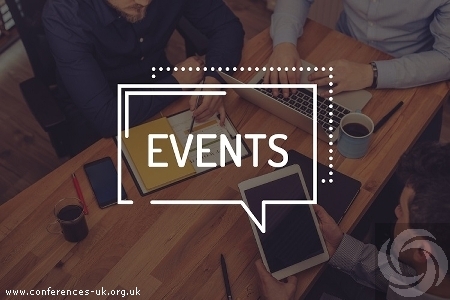 People who are considering attending may visit your website a number of times before they book - therefore frequent reminders about the event can be very effective. There's an App for that We think event apps are the perfect way to improve your event marketing. They can be used to improve communication with delegates and potential delegates, enable the audience to more easily influence the event and facilitate networking and social sharing. Finally they are a convenient way of collecting feedback, particularly on speakers, ensuring you have the quality of information needed to shape the future product in line with your customer's needs. As event apps are becoming increasingly common, there are more to choose from, which means the supply is more competitive. In addition to bigger players like http://doubledutch.me/ and crowdcoms.com there are hundreds of variations - including some free options. It's not over when it's over Remember that you start marketing your next event while your current event is running. Your live event presents a great opportunity to generate social content. Post event engagement opportunities are plentiful - distributing presentations and of course collecting feedback to shape your next event in line with your customer's expectations.